The myth of rice & water damaged phone’s. There is a lot of talk on what to do when your phone gets wet. In this post we would like to highlight some do’s and don’ts about moisture damaged phones. Over the years there has been some controversy on whether rice will help your phone once its been subjected to a swim in the nearest puddle or sink, but the short answer is no, it won’t help. It’s thought that rice absorbs moisture from your phone and into the rice. Rice does indeed absorb moisture, but it won’t do anything to the water that is inside your phone, however it will make a lovely risotto! The problem is that the rice does not get anywhere near the real moisture that is inside the phone, that is where the trouble is and the rice just does not reach far enough. It may absorb moisture from the outside cover and edges but nothing that will set the phone working again, it will however get nicely stuck in the headphone jack and charger port and probably damage those areas unintentionally. The major impetus behind the myth comes from phones that have been immediately placed in rice due to someone having heard the idea on the internet or from a friend and the phone continues to work or begins to work again after having seemingly stopped working due to a drop in the pond. This is simply a coincidence and the phone would have almost certainly begun working again without the presence of the rice as a small amount of moisture probably caused a short to begin with then dried up enough for the device to operate again mostly normally, however a lot of devices we see are phones that were exposed to moisture months ago and only now stop working, people book their phones in with us because the phone just stopped working and they think its a battery or charger issue but it turns out to be un-detected moisture damage. If your phone has been dropped in water and continued to work we highly recommend getting it seen to by our technicians because the problem can become much worse over time. 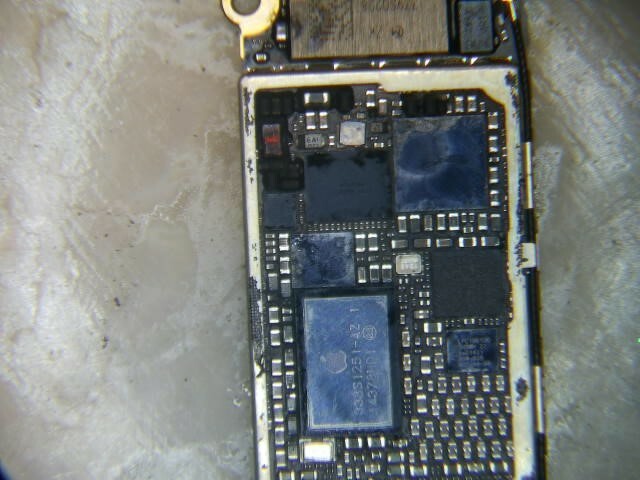 Here are some pictures of what your phone will look like if you have not had the phone looked at by a technician or it has been sitting in rice. Ok, so what do I do when I drop my phone in water?! Make sure you have disconnected any source of power and take out the battery if possible. Make sure the phone is switched off, Avoid using the device and do not try to charge it as this will only cause more damage to your mainboard or other sensitive components that have connections to other components and can cause irreparable harm. Your phone is made up of a layer of circuit boards that has many small IC chips, resistors an filters all over it, they are all connected to their correct paths via copper tracks and transistors, it will only take one chip or resistor with oxidization to shut your phone down, possibly for good. 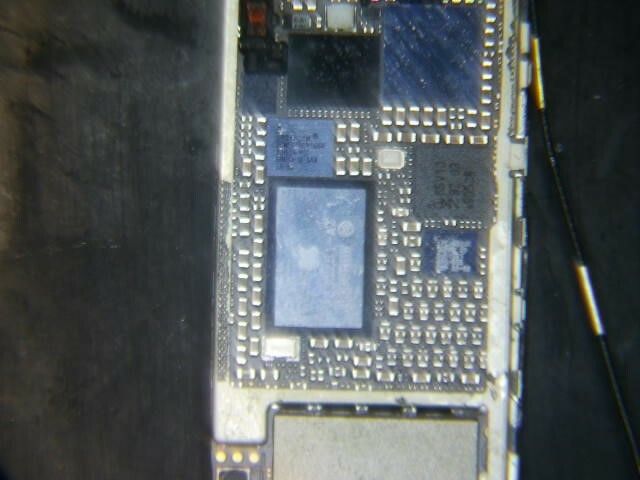 The main cause of this issue is chemicals and elements in the water that cause oxidization, these are substances such as Calcium, Magnesium, Sodium, Potassium and Phosphorus which will attach to the copper and set into your board, the worst types of water that your phone can be exposed are salt water and chlorine as the chemicals in these sources are particularly harmful to electronics. Copper is delicious to these elements and they will eat at the tracks and components that contain copper like it was a Sunday lunch! If you want to save your phone you will need to get into your local A One Mobiles & Repairs store in Geelong as soon as possible and really, the sooner, the better. If you do drop your phone into any type of liquid, we have a few steps we recommend you take to insure the best likely ultimate outcome. Turn your phone off if its still powering up, disconnect the battery if possible. Get some isopropyl alcohol 99% commonly found at chemist and large hardware stores and soak your phone! 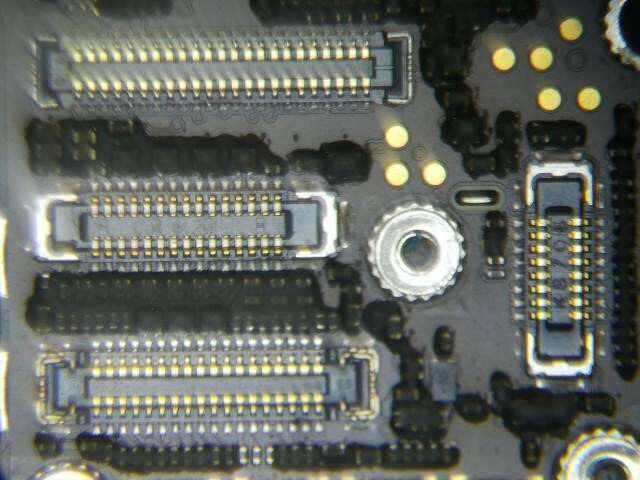 Yes this will more than likely damage your screen and or speakers but it will have an 80% chance of saving your board and this is where your beloved data is, and ultimately might make the repair cheaper by saving the board from further damage. Bring it directly to us at A One Mobiles & Repairs In Geelong, we will take your phone and run it through high grade ultrasonic chemical cleaning isntruments. 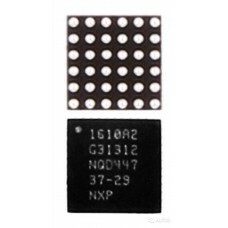 We will then dry it out and make sure that there is no visible corrosion, keep in mind we can never guarantee that it is all out as we can never see under the small IC Chips that have small solder balls that sit under every chip of your phone. like this one. We will then take the board and check it under our microscope so we can clean whatever the natural eye can’t see. Now the board is ready for testing and ready to connect to a battery. We will normally test the boards outside of the original frame and if its looking like we have power and touch to the screen we can now test all the smaller parts like your microphone, speakers and signal. If, after all this, our efforts are unsuccesful, not all is lost! We have one final stage of very high level technical facility that can recover data in some of the more extreme cases. If this is the case we will let you know when this is needed, information on some of these processes can be found in one of our other blogs entitled “Data Recovery”. I hope that we at A One Mobiles & Repairs have enlightened you with this post on how you can assist us and ultimately yourself in the even of your beloved phone taking a dip! We also hope you can gain a bit of understanding as to what happens when we have your phone and the lengths we will go to to help you!